Greg Dea – Sports Medicine Coordinator Northern Territory Institute of Sport Darwin, Australia. Greg is the Sports Medicine Coordinator at one of eight institutes in a national network of the Australian Sports Commission and the Australian Government. His role is to assist athletes to prepare for successful outcomes at major national and international athletic competitions. 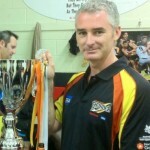 Greg Dea holds the Australian Physiotherapy Association title of Sports Physiotherapist. This is a protected title, with strict post graduate education requirements, including experience, expertise and examinations in Sports Physiotherapy. He has further training and experience in cycling and running biomechanics, musculoskeletal acupuncture, dry needling, spinal manual therapy, McKenzie therapy and has completed Functional Movement Screen1 and 2, Selective Functional Movement Assessment 1 and Advanced, as well as the 2013 SFMA Mentorship. 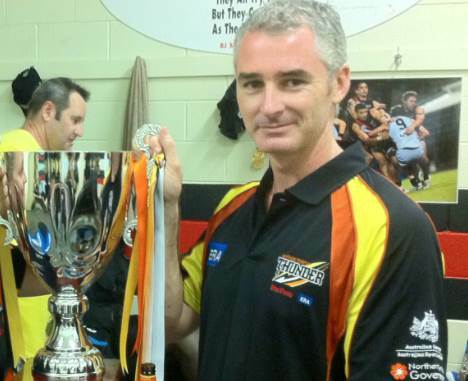 Prior to his current role, Greg served two years as head physiotherapist and sports medicine coordinator at the Northern Territory Football Club, a semi-professional Australian Football Club. During that that time, the Australian Football Club achieved record-breaking premiership cup success and were finalists the second year. Greg has also served in various positions in Australian and British Defence Force environments in Australia, England and Germany, and private practice clinics in Australia. Greg holds Bachelor’s degrees in Science and Physiotherapy and a Master’s Degree in Sports Physiotherapy and is a Certified Functional Movement Specialist. Greg is also a former 400 meter track sprinter and has played 1st grade senior Australian Football and Soccer.